mmda Archives - All Chucked Up! 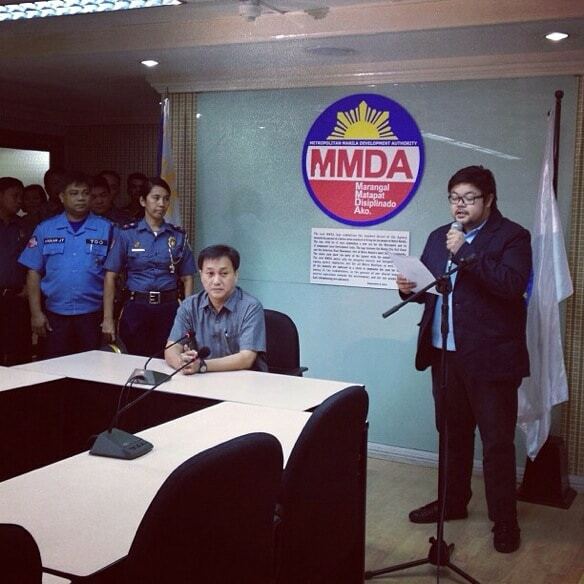 It seems Mr. Robert “Blair” Carabuena has finally surfaced and showed up at the MMDA office to make a public apology for violent actions he committed towards MMDA Traffic Enforcer, Saturnino “Sonny” Fabros, recently. Would Mr. Carabuena have apologized had he not been caught on video? 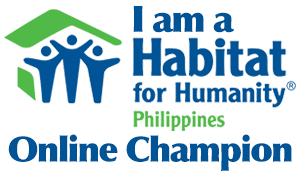 Would he have even cared what kind of humiliation he caused Mr. Fabros had he not caught the ire of the public and practically the entire social media population? Perhaps… perhaps not. An apology is good… it’s a step towards healing… if the act is sincere. IF being the operative word. “Kinailangan kong humingi ng payo sa aking pamilya at mga kaibigan, gayon na rin sa aking mga abogado.”, said Carabuena. Excuse me, Mr. Carabuena… but did it really have to take the advice of friends, family and lawyers to convince you to show your face and make an apology? Conscience alone would tell you that apologizing is the right and just thing to do. Stop reiterating how much “heat” you took from people in social media… it serves you right. You should be lucky – you’re only getting verbal beatings from everyone unlike the follow-thru hit you so “studly” delivered to Mr. Fabros’ face after a barrage of cursing and shouting wasn’t enough to satisfy your temper. The gall to even ask MMDA to allow you to drive while the case of your license revocation is ongoing. 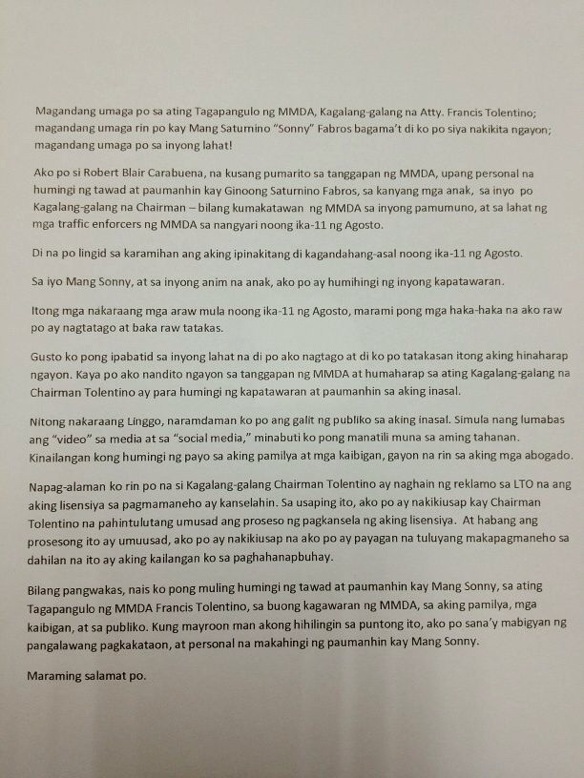 Funny how you used “kagalang-galang” FOUR TIMES in your apology in addressing MMDA Chairman Tolentino… it sure didn’t seem like you respected him and the authority he represents when you embarrassed a uniformed Mang Sonny in the middle of MMDA work. I find it all too superficial. TeleTech opens its 17th site in Cubao… Check out their new facility!